The basic principle behind all watches and clocks is a device that oscillates at a fixed frequency. Early mechanical watches and clocks used a pendulum or springs with some form of regulator to keep the frequency fixed. Time is simply measured by counting these oscillations. A simple device might oscillate at 1 Hz (once per second), therefore 1 second would elapse for each oscillation. Quartz timepieces use the nature of the quartz crystal to provide a very accurate resonator which gives a constant electronic signal for timekeeping purposes. Quartz crystals are piezoelectric, which means that they generate an electrical charge when mechanical pressure is applied to them. On the other hand, quartz crystals also vibrate if an electrical charge is applied to them. The frequency of the vibration is a function of the cut and shape of the crystal. Fortunately, quartz crystals can be cut at a consistent size and shape, making them extremely stable resonators for keeping very accurate time. The quartz crystal resonator (oscillator) is in the shape of a small tuning fork, laser-trimmed or precision lapped. The vibration frequency of a quartz crystal inside a modern watch or a clock is usually 32,768 Hz which is conveniently small, and as this frequency is a power of two and can easily be counted using a 15 - bit binary digital counter. Once the circuit supplying power to the crystal counts that this number of oscillations have occurred, it increases the recorded time by one second. 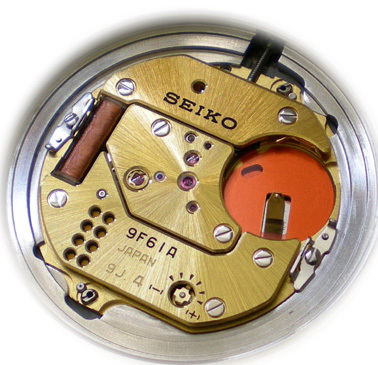 When the "second" is found, the rest of time can be calculated by the same mechanism inside a traditional mechanical watch. The advantage of quartz watches is their simplicity and accuracy - crystals maintain their frequency over broad operating conditions and are cheap to make. For a low price quartz watch, the accuracy is about ±1 sec / day, but only cost you as low as about US$ 15. These expansive quartz movements are due to their complex circuits which can compensate the effect of temperature change. Most atoms of the materials will vibrate faster when temperature increases and slower when temperature decreases, this also applies on the quartz crystal. 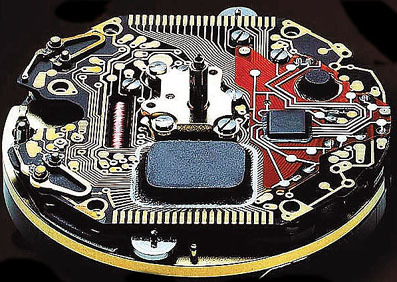 Therefore, a "temperature correction" circuit is necessary for high accuracy products.